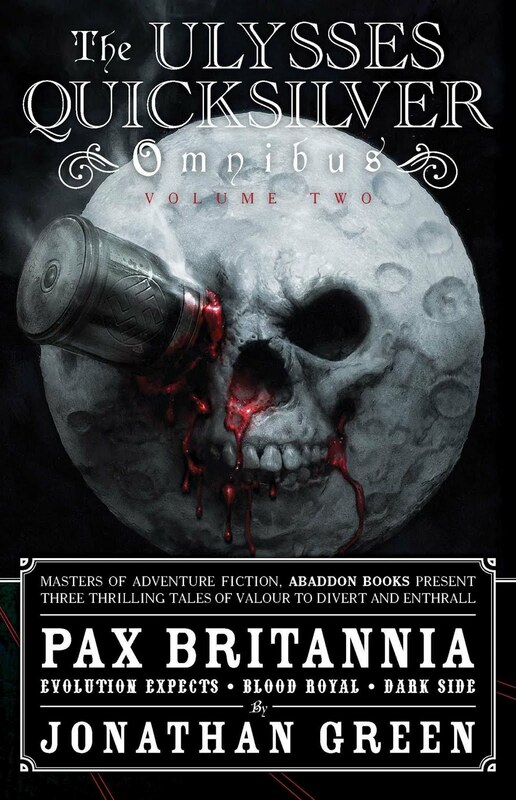 Today I'm proud to present an exclusive extract from Pax Britannia: Anno Frankenstein. Enjoy! Eric Baer shivered, and this time it wasn’t solely down to the bone-numbing cold. The mere thought of them made his flesh crawl. The official line was that they would be the Fatherland’s salvation but to Eric Baer’s mind they were the unholy spawn of a science that was little better than necromancy. When a man died he should stay dead, that was the natural order of things; not be brought back as part of some horrific amalgam such as they. Eric Baer gripped his rifle closely to him. It was the only thing that made him feel safe; and it wasn’t the enemy he was afraid of. An unnatural stillness had fallen over the no man’s land of the decimated forest. It was as if the combined French and Belgian forces had some inkling of what the German soldiers already knew; as if Mother Nature herself was holding her breath, aware that something contrary to the natural order of things was about to be unleashed upon the world. 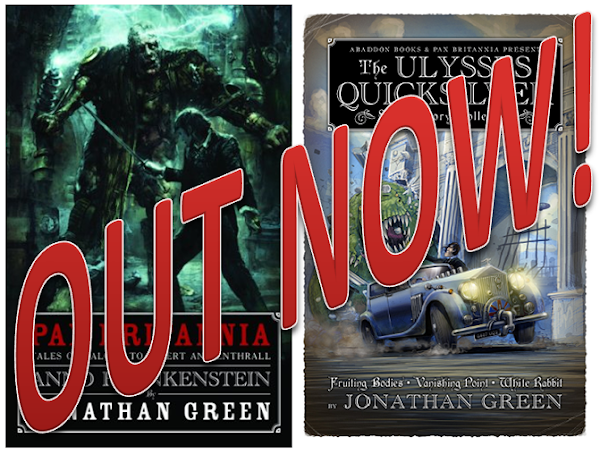 The dead should stay dead, it was as simple as that, and yet here was Man – in the form of the Frankenstein Corps, carrying on the work of the legendary scientist himself – about to commit the ultimate hubris without even giving it a second thought. God Himself had rarely brought people back from the other side; only a smattering of saints and His own son, of course. Supposedly only the top brass were party to the top secret documentation; it hadn’t been passed on to the rank and file. All they had been told officially by their commanders was that today they would lead the offensive and that they would be supported by members of the mysterious Frankenstein Corps. But news like that couldn’t stay secret for long, threat of execution by firing squad or no. Eric Baer, like many others, had heard the rumours – the stories of the horrific, ungodly things that went on in the bowels of the castle overlooking the town of Darmstadt. A gust of chill wind blew across the grey, muddied wastes of no man’s land, carrying with it an eddy of dancing black leaves – remnants of the dead forest – and the anxious murmurings and disbelieving gasps of the French forces arrayed before them half a mile away on the other side of the pot-holed field, ready to repel the German advance one last time. But then they could see what Eric Baer and his fellow German soldiers could not. Eric felt the tremor of their lumbering steps and fought to resist the urge to turn around and see for himself what the flesh-smiths of Castle Frankenstein had created. It was like an itch at the base of his skull, an unbearable need to know, no matter what the cost, but married to a fear that penetrated right to the very core of his being, a fear of that which should not be. There was a reason why the dead should stay dead after all. What the Führer and his supporters did for the good of the war effort seemed too high a price to pay. After all, if they were fighting for humanity in the face of oppression, following the First Great European War, what was the point if they only threw away what humanity they had left by committing such acts against nature? Wasn’t there a saying that went something along those lines that he had heard once? Just because you could, didn’t mean you should? Science was capable of many amazing and wonderfully life-changing things, but it was also the one thing Mankind had that could ensure its own destruction by its own hand. The ground shook under the thud, thud, thud of their regimented advance, almost as if they were following Lovelacian algorithms like the automaton armies of Magna Britannia. Another gust of wind and the sounds coming from the enemy lines were murmurings no longer, but agonised gasps of shock and fear. The terror tactics of the Corps were working. The new battle company were already having an effect on the enemy and they hadn’t even engaged them in combat yet. The enemy were terrified and Eric Baer couldn’t blame them. In fact, he pitied them; but not as much as he pitied the things now bolstering the German lines, the monsters that were about to be unleashed on the enemy on this auspicious day. The top brass’s strategy was working. It looked to Eric like the French line was faltering, and the signal to attack still hadn’t been given. He could almost smell their fear – or was it, in fact, the Corps’ creations he could smell? That was it. The battlefield scents of wet mud, stale gunpowder and discharged cordite had merged with another aroma; a mixture of formaldehyde, sickly sweet putrefaction and axle grease. But more than anything, it was the smell of death defeated, of overreaching ambition, of the hubris of Man. In the face of the terrified reaction of the French troops and the shuddering tremors of their massed lumbering steps, as they marched ever closer, Eric Baer could hold out no longer. He turned. His own gasp of horror caught in his throat as he laid eyes on the Corps’ creations for the first time. They were even worse in the flesh than they had been in the darkest corners of his imagination. During the dark dreams that had disturbed the brief snatches of sleep he had managed to achieve, they had been giants all, manufactured from stolen flesh. 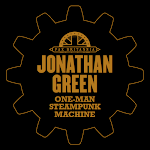 Now, in this waking nightmare in which he found himself trapped, he saw that they were in fact an amalgamation of man and machine. No two were completely alike in shape or form, but all were united by the scars they bore; marks that were testament to the nature of their unnatural creation. 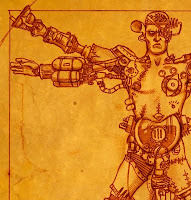 The Frankenstein Corps; dead soldiers re-united piecemeal, their lifeless flesh reanimated that they might fight again. A terror weapon, cannon fodder, soldiers who could never truly die, as long as there was someone to put them back together again in new and interesting ways once the battle was over. 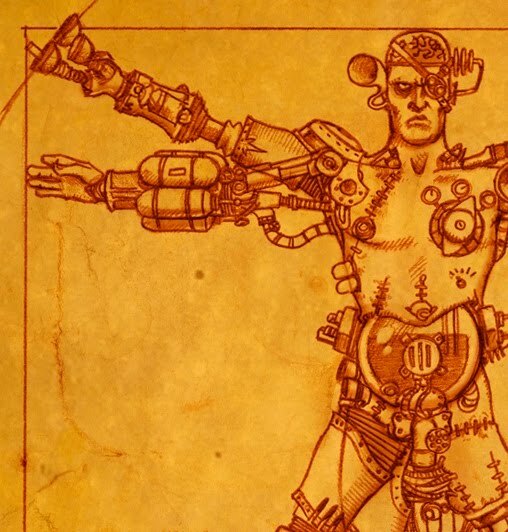 Eric Baer turned from his observations of the resurrected cyber-organic soldiers and caught the look in the eye of the trembling soldier standing next to him. “Hans,” he said, addressing the nervous wretch with the familiarity of men who have fought together, side by side, and seen their fellows fall in the same fashion. “No, it’s not that,” Eric said. 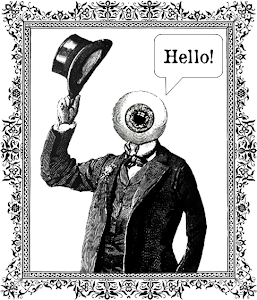 He broke off, watching the dead leaves pirouette across the churned grey sludge in front of him. As the wind carried the dancing debris away he turned back to face his friend. A shrill whistle pierced the air, sending a shiver down Eric’s spine. The signal had been given. 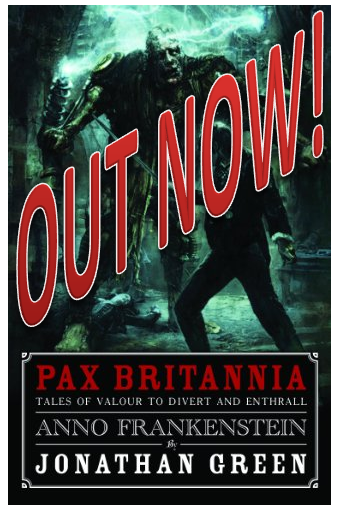 And if that's whetted your appetite, you can order your copy of Pax Britannia: Anno Frankenstein here.